I Heart Faces has switched up the way they are doing their challenges and have started doing social media challenges. The current challenge is an Alphabet Challenge over The Letter “N” and I have chosen a picture of my brother’s necklaces. The coolest part about these necklaces, though, is not just how awesome they look, but that they support a good cause. Let me explain. 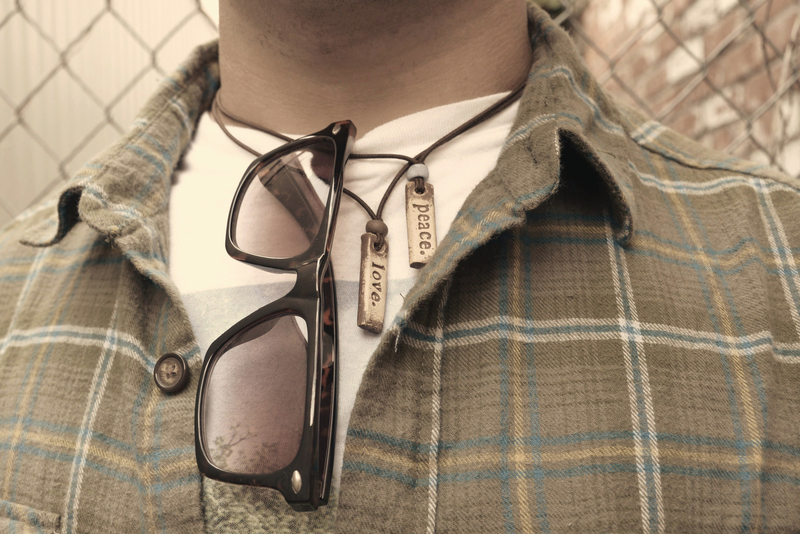 My brother’s necklaces are from Mudlove, which focuses on the principle of giving to others. As a company, the focus is mainly on providing clean water for people in Africa, but they also provide their necklaces and bracelets for fundraising purposes. That is where I heard of Mudlove, from a friend named Joe who was fundraising for a trip he took last summer. Joe basically put his life on hold last summer to take a trip around the country. He quit his job, put off his schooling, and had to raise his own money (through Mudlove fundraising) to bike and bus across the country. His journey wasn’t to just see landmarks and buildings; his focus was on seeing the beauty in the people we meet. He slept outside, had a near-death experience, and went days without showering. However, he also had the chance to talk to people he normally wouldn’t have talked to and learned that there is always more to a person’s story than what we can assume or see at the surface level. Joe caught a lot of slack for taking this trip for what some would call a “lack of responsibility.” However, Joe truly felt like he needed to “seek the transformation” and take this journey for his own growth and walk with God. It may sound crazy on the surface, but Joe’s story is inspirational and has challenged me to focus more on people and building relationships than I ever have in my life before. Joe still has some Mulove bracelets and necklaces to sell. Currently, all proceeds are going to Integrated Community Development International (ICDI). For more information, you can email Joe at jlutes1@kent.edu. You can read more about Joe’s life and his trip here, and you can see more entries in the I Heart Faces media challenge by checking out their Facebook Page. You can also see more pictures from this photo shoot here. And as always, comments are appreciated! Thanks for leaving the comment, Emily!